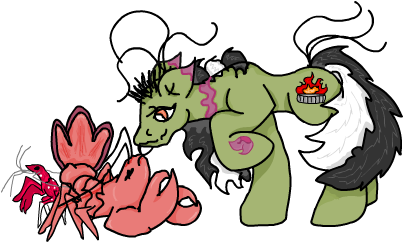 My Little Pony Arena » Forums » Pony Talk » Pony Corral » Have you ever encountered these fakies? 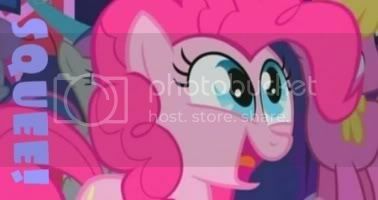 Forums » Pony Talk » Pony Corral » Have you ever encountered these fakies? Have you ever encountered these fakies? Posted: 0 Post subject: Have you ever encountered these fakies? I have two of these plastic pony/horses in my loose toy box at home in different colors and I can't remember what they were called. They have a hole through their backs, and I think might have at one time had something like a gold plastic rod that attached to a stand that went with them so they could be displayed (they were carousel horses). I also vaguely remember from the box that if you bought enough of the separate ones you could put them on a playset carousel. But then again, this would be my memory from when I was 4 or 5 years old so who knows. One of the front legs says ©MTC and the back leg says 1989 PRC. I also remember that the horses might have come with a comb/brush and definitely came with solid pink "bouquets" of roses with a peg on the flattened back side... (to attach to the playset?) Anyways, I have found out that MTC stands for Multi Toys Corp. (Or Multi-Toys Corp), but no sign of any on eBay. Anybody have any idea what these toys are? I hope someone knows! Posted: 0 Post subject: Re: Have you ever encountered this fakies? I know those! I used to always get those in lots when I bought ponies from the free-ads in Denmark. At the time I couldn't get rid of them so I threw them out but since then I have seen quite a few people looking for them. I think they are ugly. Posted: 0 Post subject: Re: Have you ever encountered these fakies? I've seen tons of people that have the first line that wear the clothes. I'm interested in the carousel ones with the hole in the back. Not many people seem to have those, and I don't even know if they are also called "Little Pretties." I'm never going to find out what they are. They are interesting. I don't think I have seen them before. Well, so far I have only found her comb. I bet I have lost mine. If I find her I will post a pic. She is just like yours. I don't know the origin of them either = ( But I have that one pictured (with faded hair) and four different ones, but just the ponies, I got them a long time ago in a lot. I wish I could help with info about them, I'm curious to know about them too. Well, if anyone has the one pictured above, or another carousel pony like it and are willing to trade/sale, please PM me. I couldn't find mine. Good Luck finding more info! I only want one. Mostly the one you have since that was my childhood one. So I just want the one you already have. I'm not trying to 'take' them from you or anything. I know. I'm just kidding! I wish you luck finding one, and hopefully our mutual searches will be a success. (I actually don't want them so much as I just want to learn more about them). Ok good, I didn't want you to get the wrong idea. If I ever find anything out I'll let you know. Oh hey... I have some of those The one in the original post only white I think... plus a couple others. I am positive that I still have them somewhere. My mom got them as party favors for my birthday party a long time ago!